“It&apos;s already known that forces and stresses have an impact on tumor growth, and that patients with enlarged prostates tend to have slower cancer growth, but it wasn&apos;t known why,” said Hector Gomez, associate professor of mechanical engineering at Purdue University, who builds models and simulations for understanding tumor growth, cellular migration and blood flow. Realistically, these findings would need to be clinically validated in humans through a long-term observational study before doctors take action. 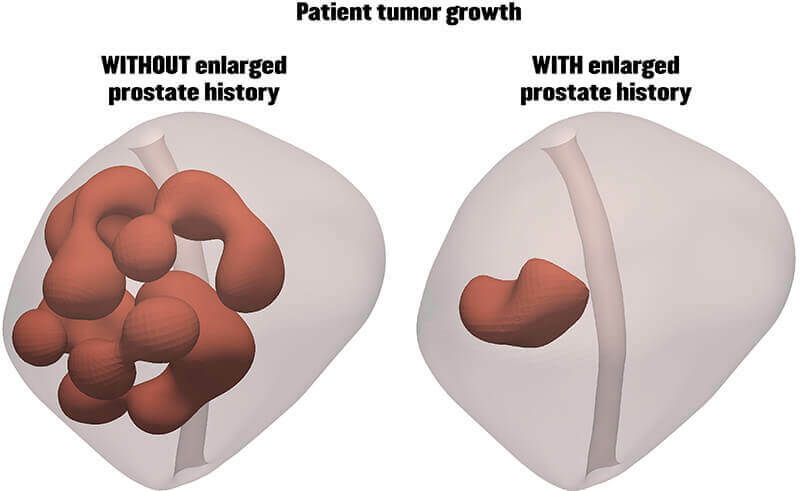 In the meantime, the researchers plan to extend their model to incorporating the effects of drugs that downsize the prostate, as well as use the model&apos;s information on the deformation of the prostate to help detect cancer. This research aligns with Purdue&apos;s Giant Leaps celebration, acknowledging the university’s global advancements made in health, longevity and quality of life as part of Purdue’s 150th anniversary. This is one of the four themes of the yearlong celebration’s Ideas Festival, designed to showcase Purdue as an intellectual center solving real-world issues.